Remediation Strategies were appointed to undertake a soil and groundwater assessment to assist a client in understanding the potential environmental liabilities associated with the shallow soils beneath part of the site. The client was undertaking a phased renewal of the site tank farm areas, which required the excavation and replacement of shallow soils to allow for new bund construction to the current standards. Working within the guidance laid out in UK best practice documentation (CLR11), Remediation Strategies designed and carried out a detailed investigation of the shallow soils within the tank farm area using a combination of hand excavated pits and hand held window sampling equipment. Access within the bunded areas was very limited due to the presence of both the bunds and relict pipework. Field screening of soils using a Photo Ionisation Detector (PID) was undertaken during the works to ensure soil analyses were appropriately targeted. A number of shallow boreholes were also installed (together with monitoring well standpipes) and triangulated around the study area to supplement data from the existing site boreholes. 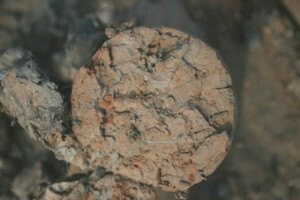 Soil and groundwater samples were obtained and dispatched to the laboratory for detailed chemical analyses. 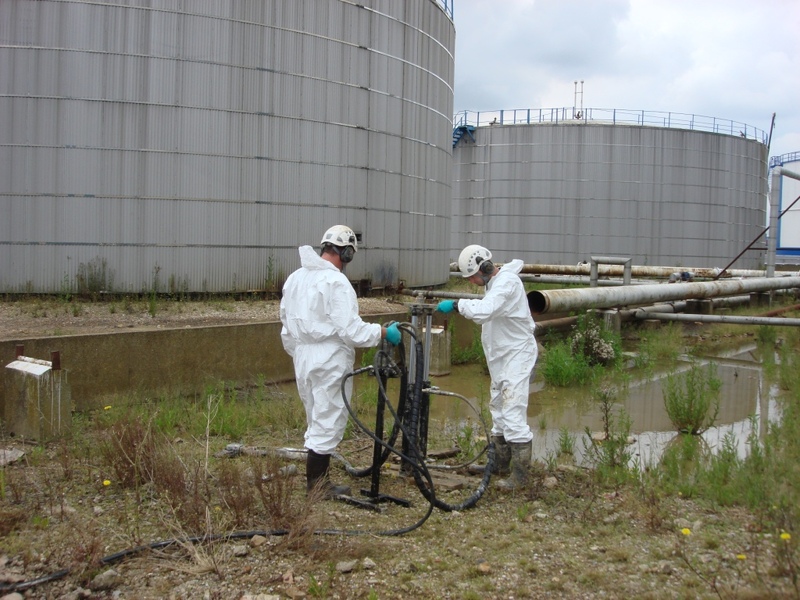 Surveying works were also carried out on site to accurately determine the hydraulic gradient across the tank farm area. In terms of reporting, Remediation Strategies prepared a detailed factual record of the site works, together with a photographic log and detailed drawings of our findings. The results of the soil and groundwater analyses were coupled with a conceptual site model to form the basis of a Detailed Quantitative Risk Assessment (DQRA) for the site. Based upon the output from the DQRA, the results of the soil and groundwater analyses were utilised to produce a constraints map to assist future contractors with the redevelopment of the area. Remediation Strategies were commissioned to asses the quality of soil and groundwater beneath a tank farm area prior to redevelopment and upgrade works to bring the area up to current standards. Works comprised window sampling, hand pits, borehole installation and associated chemical analyses. Reporting included factual and interpretative works, together with the creation of a redevelopment constraints plan. All works were carried out over an agreed 8 week programme in July and August of 2011.